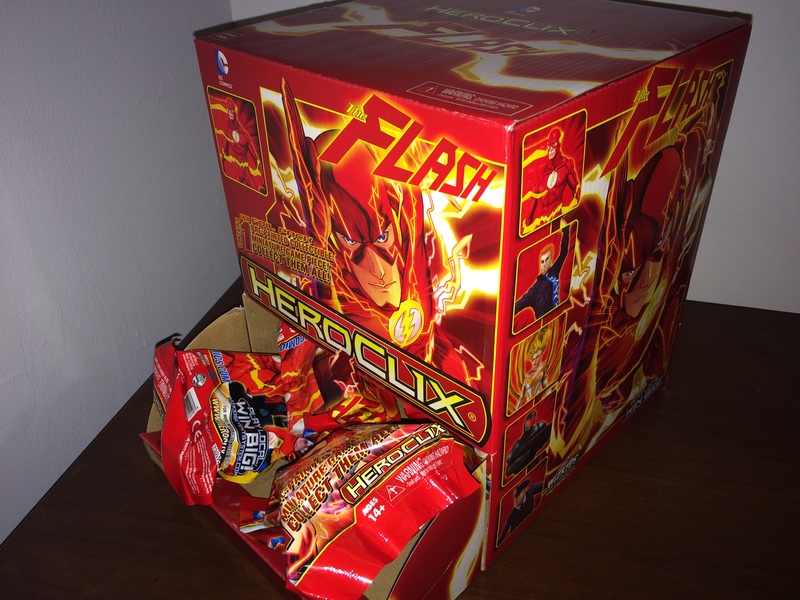 (UPDATED: CONTEST CLOSED) We team up with the HeroClix folks to give you a chance to win a 24-pack gravity feed box of the newly released The Flash series! Like the TV show The Flash but already miss it because it’s on hiatus? We can help! Love The Flash comic book by DC? We can help! Here’s your chance to win one 24-pack box of The Flash HeroClix from the people at NECA/WizKids! Step 1: Answer this question: In what 1950s comic book did Barry Allen debut? The Fine Print: One entry per person. Prize will only be shipped to a continental U.S. address and will be sent within about 30 days of contest’s end. Judges’ decision final. Entries must be received by 11:00 p.m. ET on Friday, Dec. 19.